When some people think of wearing braces, it’s from a standpoint of correcting bite issues to improve the aesthetics of the smile. While that’s certainly a perk of having teeth adjusted, that’s not the most important benefit. Poor Oral Hygiene – When teeth are properly aligned, it’s easier to brush and floss because of greater accessibility. Problems like crowding and misalignment can make the task more laborious; thus, your little one is more likely to miss out on the full benefits of oral hygiene. Jaw Alignment Problems – The alignment of the teeth also plays a huge role in the healthy position of the jaw. When there are abnormalities, your child could experience TMJ disorder – the painful inflammation of the joint the connects the upper and lower jaw. Inability to Fully Digest Food – Your teeth play an integral role in aiding in the digestion of your food. Therefore, having misaligned teeth takes away from your child’s ability to chew food thoroughly and start the digestion process. Class One – The most common type of malocclusion, this involves the bite being normal, but the teeth of the upper jaw slightly overlap those of the lower jaw. Class Two – This is commonly referred to as an overbite. In this category, the upper teeth significantly overlap the lower set. Class Three – Called the underbite, this is where the lower teeth protrude beyond the upper set. Traditional braces provide a way to correct all three issues. Childhood is a great time to have braces placed because they will contribute to better oral health in the future. 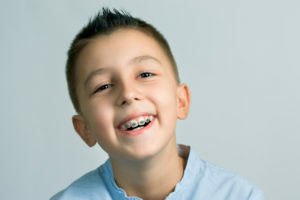 Furthermore, as your child gets older, he or she will become more self-conscious and may be less eager to wear braces. The process starts by simply reaching out to your dentist in Sachse to schedule a consultation. The professional will examine your child’s teeth and inform you of what is needed to make the necessary corrections. Soon, your little one will have a healthier and better-looking smile! Dr. Travis Rottman earned his dental degree from the Texas A&M Baylor College of Dentistry. Since then, he’s provided compassionate and gentle care to his patients. To further hone his skills and stay abreast of the latest changes in the world of dentistry, Dr. Rottman pursues continuing education annually. He helps children enjoy healthy and beautiful smiles with braces at Sachse Family Dentistry and can be reached for more information through his website.